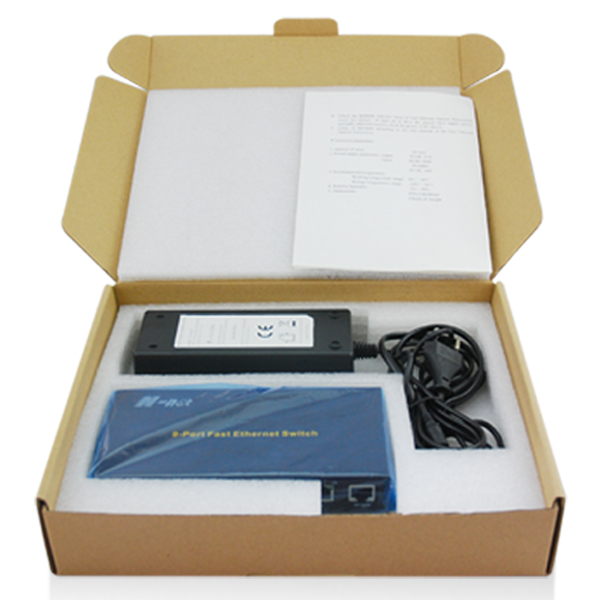 NT-W900-AF8 8 ports Fast Ethernet POE Switch, which provides 8 10/100BASE-TX 802.3 af (or 4 10/100BASE-TX 802.3 at) PoE ports and a 10/100BASE-TX uplink port. The Power Over Ethernet capacity enables this 8 Ports Ethernet POE Switch supporting the PD devices to work well under inconvenient power providing situation. As a 10/100M POE Switch, NT-W900 is designed for you to easily build a wired network according to your current working environment. 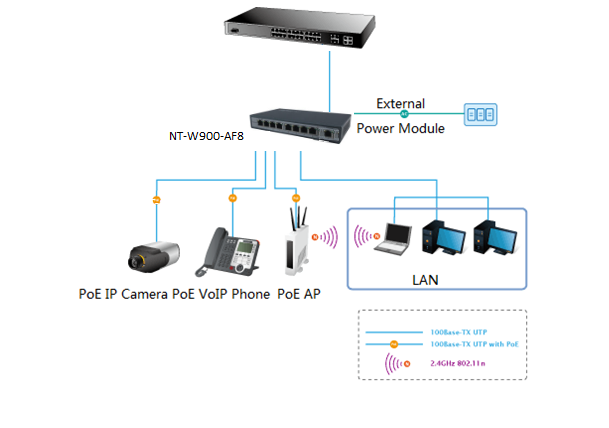 Looking for ideal POE Switch 8 Ports Unmanaged Manufacturer & supplier ? We have a wide selection at great prices to help you get creative. 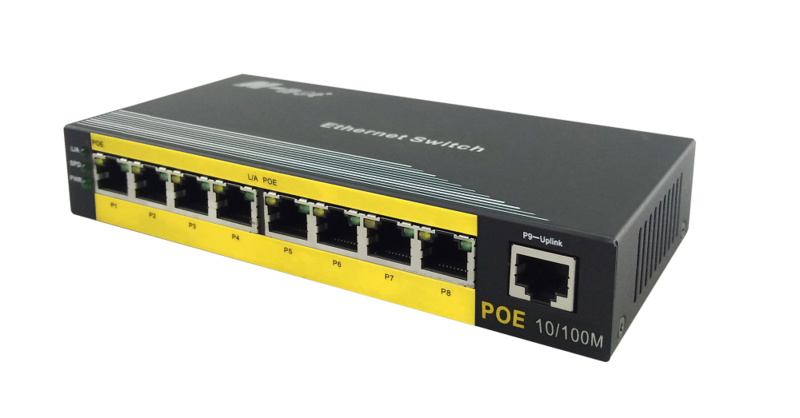 All the POE Switch 8 Ports 10/100M are quality guaranteed. 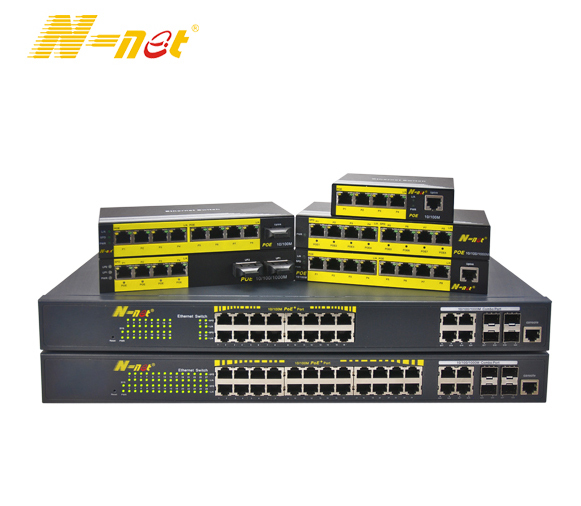 We are China Origin Factory of POE Switch 8 Ports 10/100M Unmanaged. If you have any question, please feel free to contact us.